Dutch composer Simeon ten Holt is widely acclaimed for his ‘Canto Ostinato’, one of the most iconic works of Minimal Music. 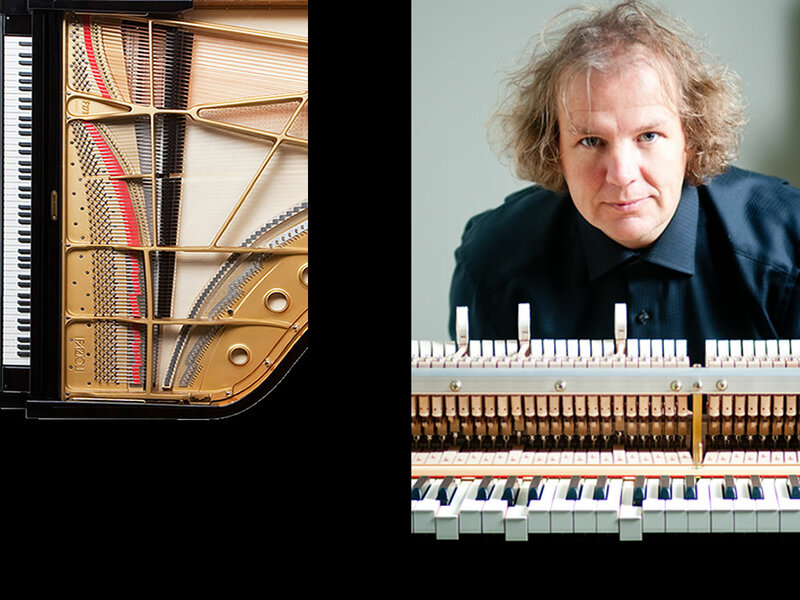 His ‘Incantatie IV’ is written for 3 pianos, and consists of a complex of 15 layers, whose shifting in both duration, colour and tempo is left to the decision of the performers, thus creating a hybrid between composition and improvisation. According to pianist Jeroen van Veen performing this work is like “looking at the sea: all the time there are changes in colour, radiance, and momentum, never an exact repetition”. Performed by Jeroen and Sandra van Veen and Tamara Rumiantsev, champions of Ten Holt’s music, having performed his music in various environments, such as a train station, a shopping mall (and of course the concert hall…). Dutch minimalist icon Simeon ten Holt, who recently passed away at the age of 89, studied composition with, among others, Honegger and Milhaud. After exploring serialist techniques in the 1960s, he began to focus on more conventional styles of composition from the 70s onwards – concentrating on tone and timbre in particular – and it is from this period (between 1976 and 1998) in Ten Holt’s wide‐ranging career that the Incantatie IV for three pianos dates. Widely famed for his Canto Ostinato, written in five layers, the composer’s Incantatie IV for three pianos stands out for its complexity and is made up of no less than 15 layers for multiple keyboards. Both pieces allow the performers to decide upon the final form of the music, but Incantatie IV leaves much more open; with timbre and pitch, style of play and tempo, number of voices or instruments, and the amount of repetitions all left to the players’ discretion, the length of the composition is undetermined and the piece effectively exists in a grey area between composed and improvised music. One of the artists featured on the recording, Jeroen van Veen, describes the sound world as “if looking at the sea for a long time; the waves, the rays of sunshine and the air all influence the glittering and different colours of the sea”. Jeroen van Veen is one of Brilliant Classics most prolific artists. Chairman of the Simeon ten Holt Foundation (dedicated to keeping Ten Holt’s fascinating music alive) and himself a successful minimalist composer, he is the perfect exponent of this repertoire, championing it on this, his fifth release of the composer’s music. 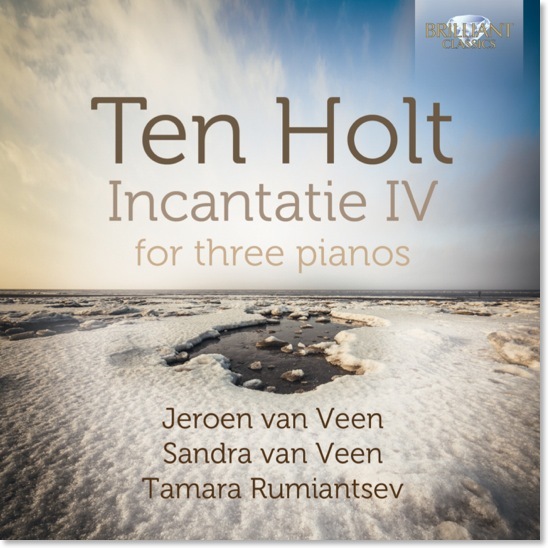 In Incantatie IV for three pianos, Jeroen is joined by his wife and habitual collaborator, Sandra van Veen, as well as Tamara Rumiantsev – herself no stranger to minimalist music, having featured on Brilliant Classics’ Minimal Piano Collection (BC 9171). * The numbers match to the sections in the score.